If you are passionate about knitting, you may consider starting knitting for profit. Why not combining business and pleasure? I think this is the key to a successful and satisfactory personal business. Can you imagine doing what you love to do and earn money from it? For me, it couldn’t be any other way. 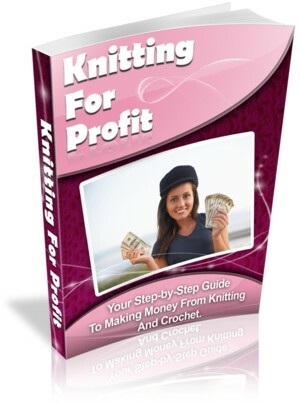 If you are knitting for profit, finding a niche is one of the first things you need to do. A ‘niche’ is a way to describe a group of people who are passionately interested in something, and are looking to buy specific products related to that passion. It is essential to find your market and then make products for it and you will have taken one of the most important steps towards success! If you have been smart and chosen a niche market, you now have a very clear idea of who your customers are, where they are shopping, and what they are looking to buy. Just about the most essential things you should do is get your name and knitting range of products known to your customers. 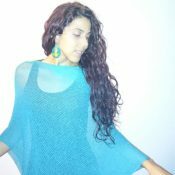 The “Knitting For Profit” ebook is written by an australian woman, who has sales and marketing background. I really REALLY recommend you to read it. With this book, you will take the first and most important step towards earning great money from your hobby and passion – to open your mind and learn! The goal of “Knitting For Profit” book is not only to teach knitters how to make money knitting and how to set up a business and market their products, but to also give an abundance of ideas and examples of how to stand out from the crowd and create a really successful knitting business. By reading this book you will find out the basic business and marketing skills you need to make your knitting business work for you. Chapter 9: Record Keeping – How to Keep good records so your business stays profitable.